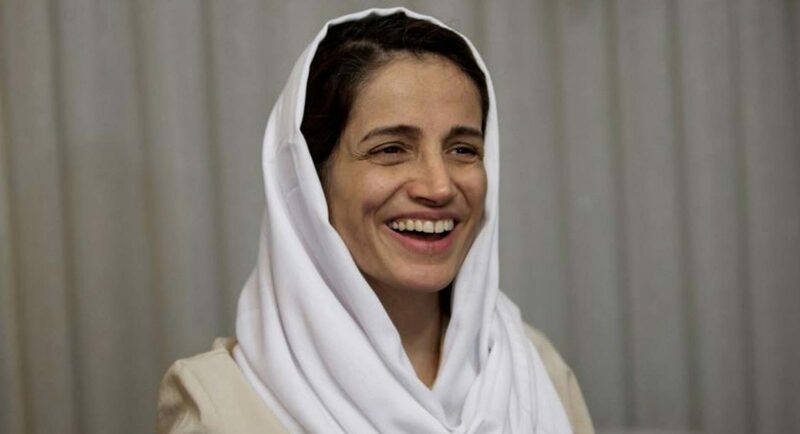 Nasrin Sotoudeh, a prominent Iranian human rights lawyer, has been sentenced to 38 years in prison and 148 lashes because of her work defending women’s rights and protesting against Iran’s forced hijab laws. The new sentence of 33 years in prison brings Nasrin’s total sentence — after two grossly unfair trials — to 38 years in prison. Nasrin has dedicated her life to peaceful human rights work, including defending women who peacefully protest against Iran’s degrading forced hijab (veiling) laws. The Iranian authorities are already feeling the pressure, with 250,000 people around the world taking action to support Nasrin in just 3 days. This is our chance — email the Iranian Ambassador and call on Iran to release Nasrin Sotoudeh immediately and unconditionally and for her sentences to be quashed without delay.